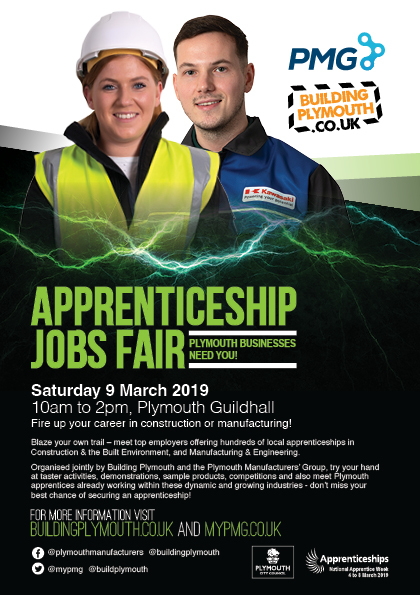 Building Plymouth and the Plymouth Manufacturers Group are hosting our annual apprenticeship showcase event on Saturday 9 March 2019, 10am – 2pm Plymouth Guildhall. 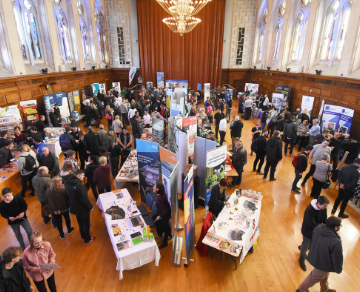 It’s the perfect opportunity to talk to employers about the world of construction and manufacturing, demonstrations, sample products and competitions. Read all about apprenticeships on our Apprenticeship Vacancy Bulletin. Download our floor plan for the day.